How to see Tokyo in just under a week? 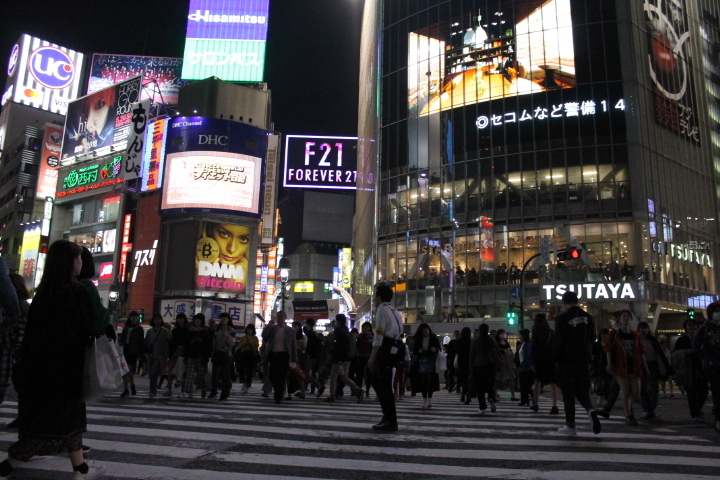 Despite being a sprawling mega-city, Tokyo can easily be explored in three days or five. No seriously, it can be done. It will mean kissing your late lie ins goodbye and sticking to a strict itinerary. Choosing the right places of interest can give you a flavour of Tokyo. That’s why it is important to prepare beforehand and book any tours that you wish to see prior to your arrival. Tokyo is not some European city where you can stroll about at a leisurely pace and take your time admiring beautiful buildings. Tokyo hasn’t got time for that, and neither do you. Unless you are there for a few weeks, then yes you can afford to flaneur. If you choose to go with tour groups then you are in some luck. The best thing about the Japanese tour companies is they don’t waste time. If you’ve seen Japanese tourists abroad, you may have noticed how quickly they move from one place to another. They also don’t waste time standing around, unless they are in a queue, or having a lunch break. The same principle applies here. Just be mindful that you don’t book a tour with multiple sightseeing spots in one day, especially if there’s one place you would like to visit the most. Chances are you won’t be there for long and it will feel very rushed. At the bottom, I have shared the best way to get to and from Narita airport and central Tokyo. To make the most of my DSLR camera and the neon-soaked Tokyo, I enlisted in a photography tour on my first night. With so much to capture on my DSLR screen, my guide showed me how to make the most of the scenery in front of me and how to adjust the camera settings to get the right picture quality. The best thing about this tour was visiting various spots around Shinjuku and Shibuya and taking amazing photos worthy of showing off. If you are interested, you can find the night photography tour on Viator or finding similar tours online. I first visited this crossing with the photography tour, and where I took countless photos of people crossing the mammoth sized road. Somebody told me that the best time to capture Shibuya crossing is at 1pm during the weekdays and see it from Starbucks, which offers excellent view. A lot of tourists use this crossing to take countless selfies, rather than for crossing the road. Based in Shinjuku, you can hang out with the locals and enjoy fresh food at a very reasonable price. It is a narrow alleyway with eateries terraced together and offering a very snug and an authentic Japanese experience. You will be spoilt for choice. A trip to Mount Fuji is a must and typically takes a whole day. It’s well over two hours away from Tokyo and you get to see pretty landscapes along the way. You also get to stop at various locations to take pictures of Mount Fuji. I visited Mount Fuji on a sunny day in April but visiting Mount Fuji in the Spring-time can be tricky. Clouds are the biggest problem when it comes to viewing Mount Fuji and if the weather isn’t favourable, you might not even see Mount Fuji from a distance at all. Sometimes the weather can be very good, but once you ascend to the Mount Komagatake Ropeway via cable car, you can be met with sudden clouds and fog. That’s what happened to me. I was disappointed but not as much as I had been fortunate to take pictures of Mount Fuji at Lake Ashi and the Fifth Station. Just check for weather before you book your tour and be prepared for any unforeseen clouds. If you arrive in Spring-time, then you are in luck. End of March and early April are some of the best times to see Cherry Blossoms dotted all over Tokyo. The best way to enjoy Cherry Blossoms is to visit gardens and parks. One of my favourite parks is Showa Kinen Park, where you can spend at least good few hours, strolling about happily or enjoy a picnic. Lots of Japanese families come here for picnic. The park is so clean, and people always pick up after themselves. Here, you will find beautiful Tulip gardens, Japanese garden and a Bonsai Museum. On the day I visited the Showa Kinen Park, the weather was mild. For Tokyoites, it’s still a coat season. I took off my coat and was walking around when an elderly Japanese woman pointed to my coat and said something to the effect of “wear your coat”. I smiled and shook my head and said that I wasn’t cold. She shook her head and laughed. I wanted to hug her because she was so cute and without knowing me, she cared for my welfare. Just a word of advice, Tokyo may have some very clean public toilets, but don’t expect the same standard here. I would recommend going to toilet before coming here. Even if you are not a fan of history, you will become a fan of this historical amusement park set in the 17th century, offering a slice of Edo period. By amusement park, I don’t mean rides. I simply cannot find another word to describe this place, which is like a movie set. Based in Nikko, it is over two hours’ train ride from Tokyo. There, I found people dressed as samurais, ninjas and geishas welcoming the visitors. Even the visitors had the opportunity to dress up and be part of the Edo culture. I watched the Great Ninja Show, the Geisha Parade and tragi-comedy theatre show. I also had a photo shoot while dressed in a kimono and holding a fan. It is such a friendly place for family and individuals, and for young and old. Find a tour group that offer full day trip, or alternatively stay a few days in Nikko. In Nikko, you can visit the Toshogu Shrine (get there early as it tends to get crowded) and the National Park. The town itself is picturesque, surrounded by forested mountains. Save your last day for something you want to do; whether it’s shopping or see a shrine. Plan ahead, because being in a vast city as Tokyo, getting around may take time. For example, if I want to travel to Asakusa district from Shinjuku, it would take me under an hour on the tube. Knowing what you want to do will help you save time. Alternatively, you can be spontaneous and take it easy. On my last day, I got a travelcard that allowed me to make multiple stops at various districts. It cost me under 800 yen. Here are the following places I visited. Though I didn’t visit many, mainly due to spending few hours in each place and travelling between districts took some time. Akhihabara: Also known as the electric town; this is where you can buy all kinds of electrical goods, find good Anime collection and games. A lot of young gamers hang out at games stores and arcades. Shibuya: Aside from the famous crossing, there are some decent shopping areas to buy gifts for family and friends back home. Here, you will find some shops selling items made in Japan. Harajuku: You have to visit the famed Takeshita Dori, which is a pedestrianised shopping street. On Saturday, the place was heaving with human traffic and I found myself walking elbow to elbow with other shoppers. Despite the crowd, the atmosphere was relaxed. There are a few souvenir shops here worth checking. When it comes to shopping, my rule of thumb is, if I find something good and reasonably priced, I will buy it, because I most likely would never find the same thing elsewhere, or at that price. There is much more to see, and this blog is about what I got up to. I find TripAdvisor and Viator websites, great places for inspiration and ideas. Did you know it takes under two hours to get to the Tokyo central from Narita Airport and vice versa? There are so many options to choose from. Taxi is a big no-no, as it is very expensive. A taxi driver told me it would cost 22,000 yen for one-way trip. This works around £143. There are other options to go by bus, shared shuttle, etc – but all these required change-overs and it’s not great if you had a long flight and lugging your suitcase from one public transport to another is the last thing you want to do. I chose N’EX (shortened for Narita Express) for two reasons. It doesn’t require change-overs and is very affordable. Found on the lower ground floor of the Narita Airport, you can buy a round-trip ticket for 4000 yens, which roughly works out as around £26. The train journey is under one and half hour and offers space to put away your luggage and there’s free WIFI. Just a word of advice, for your journey back to the airport, don’t forget to reserve your seat beforehand at your local train station. Wishing you an amazing trip!